Ensenada Grande is an anchorage located at 24.560037 N, -110.397732 W. Vessels can find protection during most prevailing conditions, but not storms. There are 0 slips and 0 mooring buoys available. Berthing costs are estimated to be free. Fuel is not available near this location. 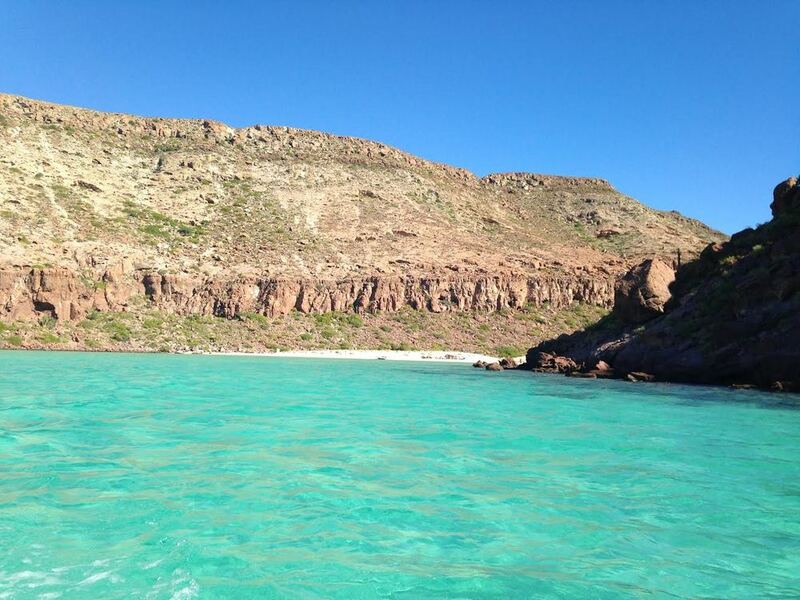 - "The shallow turquoise water around Ensenada grande is a snorkling paradise. Ranked one of the worlds top ten beaches by travel magazine. " 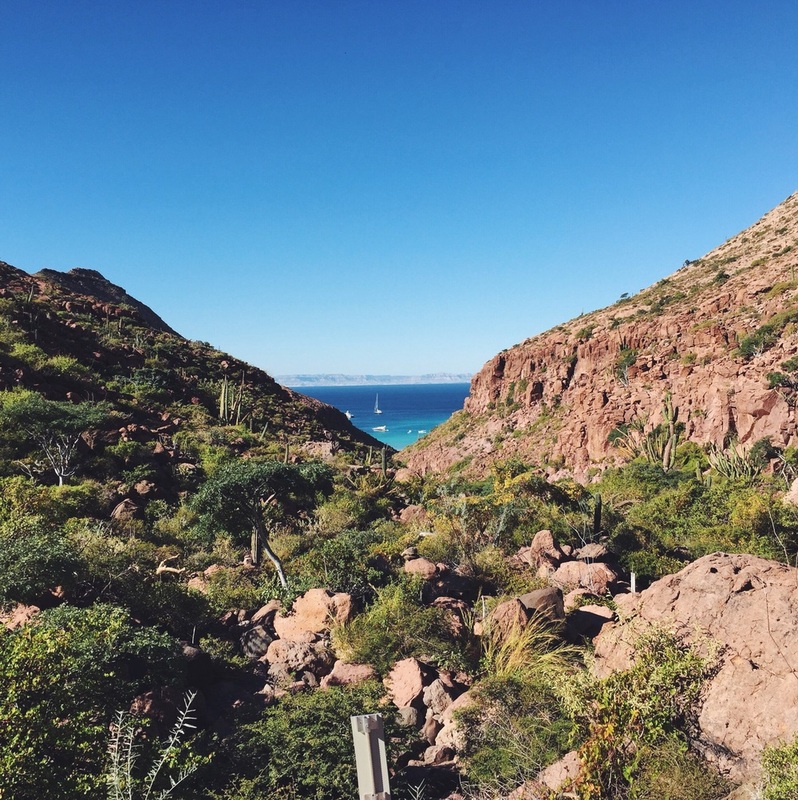 - "Good little cove to walk the dog on the south end of the anchorage"
According to Travel Magazine, this Ensenada Grande is the best beach in the world to visit in February. We anchored here in November and it was incredible. There's great snorkling throughout the entire bay - perfect place to jump in with the GoPro and capture the diverse marine life of Espiritu Santo. The dramatic red-rock cliffs surrounding the bay contrast with the turquoise water to give you tons of photo-taking opportunities. Best of all, it's not as crowded as some of the other anchorages in the area. Anchoring in the bay is easy. We dropped the hook in about 20 feet in the southern end of the bay, with about 10 other boats in the area. We had plenty of room to swing on one anchor. The wind shifts often throughout the day/night, so try to get a spot in the middle. There's a moderately difficult hike from the beach that is well marked by signs. It offers great views, but watch out for hornets, snakes, and other wildlife. 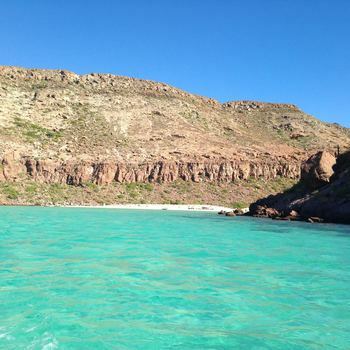 Overall, this is a must see anchorage in the sea of cortez.